Cristiano Ronaldo says he is the “best player in history” after winning his fifth Ballon d’Or on Thursday, according to a report by SkySports. The Real Madrid forward scooped the award, which is organised by magazine France Football, for the fifth time to tie level with Lionel Messi’s tally. 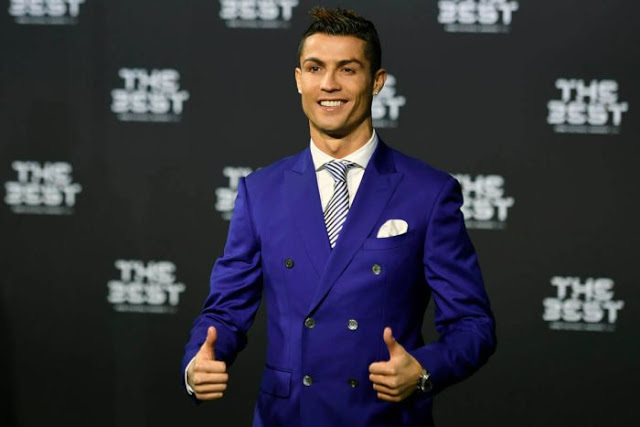 Ronaldo, who helped his side win the Champions League and La Liga last season, also won the best male player prize at the 2017 Best Fifa Football Awards in October, and believes he is now the greatest to have played the game. “I’m the best player in history, in the good moments and the bad ones,” he told France Football. “I respect everyone’s preferences, but I’ve never seen anyone better than me. I have always thought that. No footballer can do the things I can. There’s no player more complete than me. “I play well with both feet, I’m quick, powerful, good with the head, I score goals, I make assists. There are guys who prefer Neymar or (Lionel) Messi. But I tell you: there’s no-one more complete than me. “No one has won as many individual trophies as me. And I’m not speaking just of the Ballon d’Or. That says something, doesn’t it? It’s not just a result of the work I do in the gym, like some people think. It’s the sum of many things. Ronaldo admitted he was “sad and angry” when Messi scooped the Ballon d’Or on four consecutive occasions from 2009 to 2012, and said he had no interest in going to ceremonies to accept second place. “I won the Ballon d’Or before Messi, then he overtook me and won four in a row. I’m not going to hide from you that I was sad and angry,” he said. “I went to the award ceremonies and I never won. At one point, I was even demotivated. I had no desire to go. To be there for the photo didn’t interest me.